We are a family owned park with small-town charm, warm hospitality and a welcoming spirit. 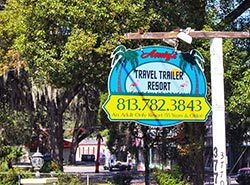 Ideally situated not far from sunny Tampa, Florida, Andy's Travel Trailer Park is the perfect destination. From the moment you arrive, you'll feel right at home among our welcoming community of friends. You'll love spending the weekend, the winter, or the whole year in in beautiful Zephyrhills, Florida. 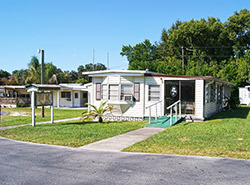 Andy's Travel Trailer Park features terrific amenities and fun activities. We’re conveniently located close to restaurants, shopping and much more. We know you have choices of RV parks in western Florida. Come see why so many of our long-term guests have chosen to call Andy's Travel Trailer Park "home." Whether visiting for the weekend, winter RV snowbirding, or staying year-round, you'll love our welcoming community of friends. Here at Andy's Travel Trailer Park, you'll experience the best combination of peace and tranquility, exciting activities, warm winter climate and a friendly community. What a great place to spend your vacation... or your golden years. With commitment to quality and excellence, it is the mission of our family and on-site managers to provide a safe, pretty and well-maintained property for our long-term residents, seasonal visitors and short-term guests. We strive to provide a caring and friendly environment, achieving this goal through ongoing hard work and dedication.